Move the slider on the map above to see the change in HIV deaths per 100,000 population over 2005, 2009 and 2013. According to the data, taken from the World Health Organisation, some countries have shown a commendable drop in the HIV death rate. At the top of the list is Rwanda (-81 per cent), Dominican Republic (-74 per cent) and Suriname (-73 per cent). India has also shown a drop in HIV deaths per 100,000 population. The 2013 number has changed to -46 per cent of the 2005 number. 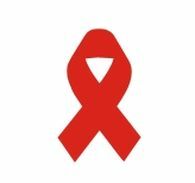 However, the rate of HIV deaths per 100,000 population has also increased in some countries. Countries that top this list are Indonesia (+371 per cent), Kyrgyzstan (+356 per cent) and Pakistan (+275per cent). Ending child labour in India? It will take 100 years!